While at Guruvayur (also Guruvayoor), the first place to get to is of course, the temple. Situated in the middle of a large courtyard, the main shrine is surrounded by arcades, souvenir shops, an open theater, a vast pond and several other buildings. A few elephants are always kept inside the courtyard. Entry into the temple is limited to Hindus, while everyone is permitted in the courtyard, arcades and so on. Topping up Guruvayoor pilgrimage with a visit to Mammiyoor Sive temple is a long held custom. 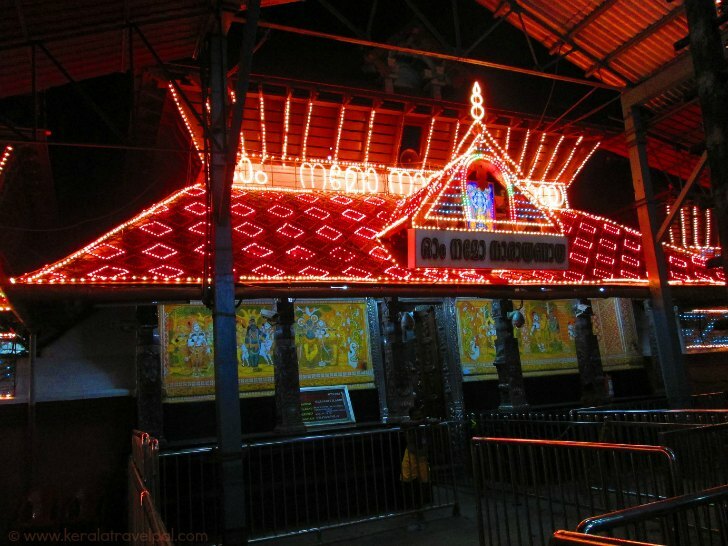 Visited by many devotees, Mammiyoor temple is conveniently located within 1 km from the western side of town (West Nada). 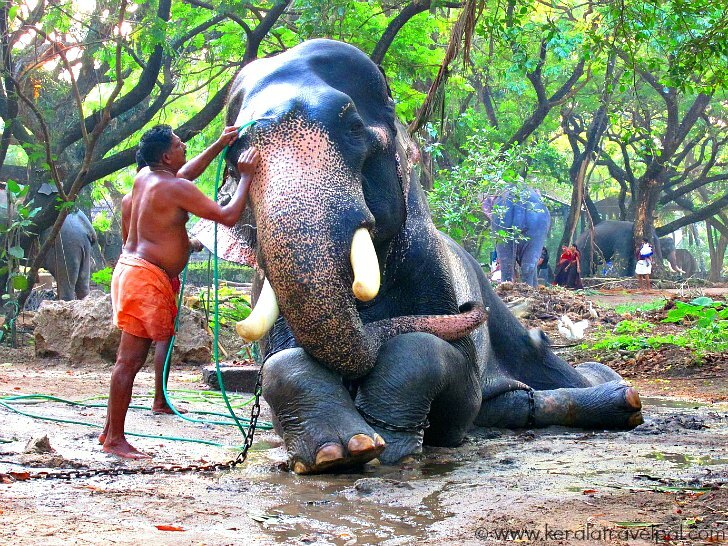 Sightseeing spots that can be conveniently accessed during guruvayoor tour are the Elephant Park (Anakotta), Palayoor Church, Chettuva backwater and Blangad beach. Christianity in Kerala dates back to the early period immediately after the days of Jesus. St. Thomas, one of his disciples, brought Christianity to India. Palayoor Church, 2 kms from Guruvayoor town, stands in testimony to the pioneering work of the saint. Initially built by St. Thomas, the Church is an interesting place to gain insights into the development of one of the major religions in Kerala. Chettuva is more than a brilliant mix of canals, coconuts and islets. Broadened backwater stretches into the receiving hands of Mother Ocean, about a kilometre past Chettuva Bridge. With rough waves, the harbour is wild and beautiful. Tourists are only starting to discover Chettuva. The credit for putting Chettuva on tourism map goes to Rajah Group, a well settled local business. One of the best ways to spend the extra hours you have after visiting Guruvayoor is to have boating at Chettuva. The place to get to is Rajah boat yard, which is on the left side before Chettuva bridge as you travel from Chavakkad along the highway. Apart from different types of boats, they also operate a couple of house boats.They also have set up an up market Ayurvedic resort in one of the islands. Half an hour car or auto rickshaw ride takes you to Chettuva. About 8 kms from Guruvayoor, Chettuva is along the Chavakkad - Cochin coastal highway. 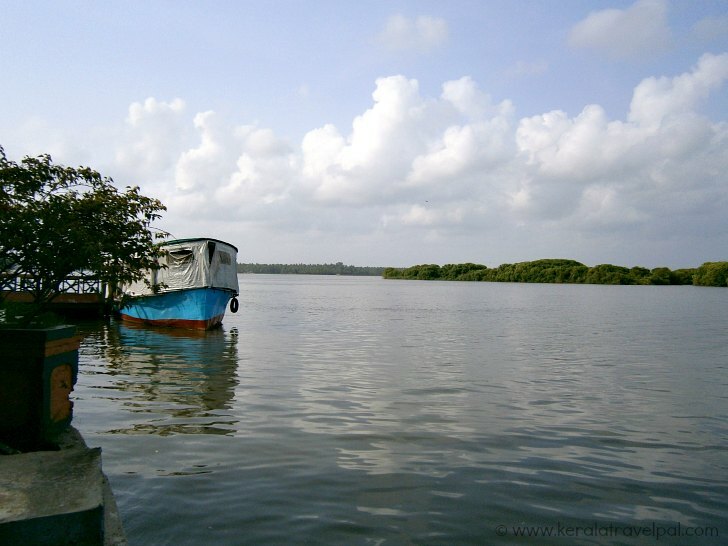 Blangad beach is only a few kms away from Chettuva backwaters and harbour. Although not a great swimming spot, the beach is good choice for evening strolls as well as watching sun sets. Best time to be here is around 5 PM, to see fishermen in action as they reach back from sea. Blangad is near Chavakkad and is about 7 km from Guruvayoor. How to spend a day in Guruvayoor and around? Get around the temple early morning. After breakfast, get to Anakotta. After spending a couple of hours there, head back to Guruvayoor for lunch and a bit of shopping, if you like. Kick off afternoon with a visit to Palayoor Church. From there, travel straight to Chettuva. Backwater ride may take up a few hours. You could settle for a coffee as well. Spend a bit of evening at Blangad beach if you wish, however make sure to reach back to Guruvayoor in the evening to explore more of the temple town together with some souvenir shopping. Souvenirs are cheaper at the shops in the temple complex than outlets in Thrissur. That has been my experience, as I buy them as gifts for overseas friends. Also the prices were reasonable and pretty much standard across the arcade. However, I suggest price checks to avoid nasty surprises. You may also want to watch a bit of dance performances. They are held at the open theatre near the temple (Melpathoor Auditorium) during most evenings. For a day, maybe it is hand full. I hope still you will find time to snack up in between.